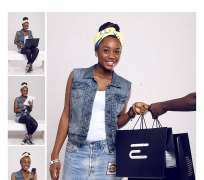 Nigerians get a rewarding reason to shop online in October as hot new e-commerce platform, Tosanonline.com has announced a promotion. Users of the site now have a chance to win ₦50,000 for shopping on the site – www.tosanonline.com – this month. “At Tosan Online, we are focused on the customer,” said Adeniyi Babalola, its chief executive officer. “We are a platform for small, medium and large businesses as well as individuals to sell their new or used products and goods to millions of buyers for free and have these products delivered to the doorsteps of customers – from selling off old shoes to buying new toys for the kids. Tosan Online works with leading bank FCMB as financial partner, e-commerce website equipped with SSL, TLS and VeriSign (for secure shopping), user friendly interface for both buyers and sellers, special admin backend for each seller to add, remove and modify products and monitor their sales. As part of its commitment to the customer experience, the October promotion is giving customers the opportunity to win ₦50,000 just for shopping on the site – irrespective of the item cost. Tosan Online can be accessed from – and delivered to - the convenience of home or office on PCs, iPads/iPhones as well as BlackBerry and Android devices. Red Media SS is a subsidiary of Red Media dedicated to communication solutions for Small and Medium Scale Businesses in West Africa – with a focus on enhancing competitiveness, expanding opportunities, scaling up growing and strategic businesses and driving employment and enterprise across the sub-region. We are grateful to our network of media associates who are dedicated along with us to this vision of building businesses and value, especially for young entrepreneurs.